When a calamity strikes, suddenly you may see a vision of losing your ship. Aye mates, there have been many such moments in our sailing lives. One just the other night. 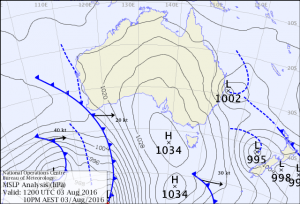 An East Coast low was forming near our ship and the forecast destructive winds would be accompanied by very high rainfall. So knowing that all hell would break loose and be doubly bad if the wind came from a slightly different direction than forecast, we took our craft from the dock to a place we’ve always regarded as a cyclone anchorage with a good mud bottom behind a rock training wall. Upon our arrival, there were three other vessels anchored there, all unattended. Hmm, that seemed odd with a storm coming. The small motor launch close to the sandy beach looked rather derelict or maybe under maintenance. The thirty foot sloop was equally untidy with clutter on deck and a saggy sun awning barely secured. And the forty foot cutter had two roller furlers poorly rolled, quite baggy with heaps of white cloth showing in wide spirals, plus its small size chain lead us to suspect an undersized anchor. Therefore we parked out of harm’s way, off to one side, inline with the exit and took extra care to really dig in our 45lb BOSS anchor. 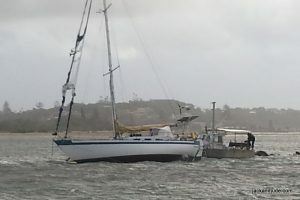 As I said, destructive winds were forecast, but only the forty footer’s owner showed up, albeit after dark and went straight below. All that day Jude and I tracked the storm up the coast and figured it would hit us around midnight, so we ate an early meal then went to bed for whatever rest could be had. Maybe because we’ve been through these sorts of events before, we both rested uneasily, our minds churning through the “what ifs” working out what we’d do. About 2300, a splattering of rain announced the storm. Then a puff followed by another rushed me to the cockpit ready to fire up the donk if needed. 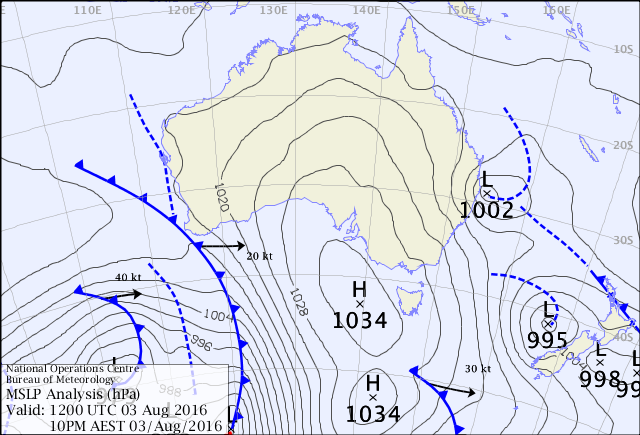 Our chart plotter was already ticking over, its cursor on the waypoint we made when we’d dropped our anchor and it still showed .02 NM off. All okay there, so I looked around to line up a transit on each side, the best being a flashing red light on the rock wall aligned with a street light across the river. Still a bit groggy, it took my mind a minute to work out which way the lights would shift if we dragged, and while working on that I noticed another handy alignment. All three yachts were in a row, all abeam and all of us with mastheads alight. By then the puffs had become serious blasts above thirty knots and my grogginess was replaced by apprehension. Maybe it was the cold southerly wind, but my knees began to tremble. Lightning flashed blinding me and I yelled for Jude to come up knowing all hell was about to break loose. 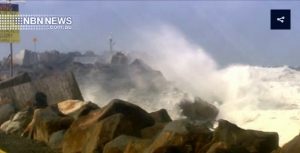 With hardly enough time to struggle into wet weather clobber, torrential rain driven by winds of over 50 knots turned the sea white with flying spume. Then against this surreal scene, right before my eyes our neighbour sheered off and just kept flying sideways till hitting the low rock wall, that taking less than a few seconds. After that, the storm went ballistic. An early warning was needed, so we made waypoints during wind shifts and the bigger blasts to mark our limits. These, along with the transits, reassured us that our Manson BOSS anchor was doing its job. But in a vicious storm like this one, we never relaxed. It might go easy for a bit while the wind gathered its breath, and then a new cell would pounce with Nature going crazy again. After an hour of this, above the shrieking, we could hear the flap of loose sail and looking through the darkness see the forty footer’s furling sails wildly gyrating. The staysail broke loose first. The horrible sound grating nerves already on edge. Through binoculars we could see a lone figure on the canting deck, and could imagine his anxiety and his fright. What to do? Would his rig tear away? When he climbed onto the pulpit we worried he’d be thrown into the sea or onto the low wall. But there was nothing we could do. We must protect our ship and our lives. We watched him scurrying about trying to figure out what to do while the staysail shredded itself. 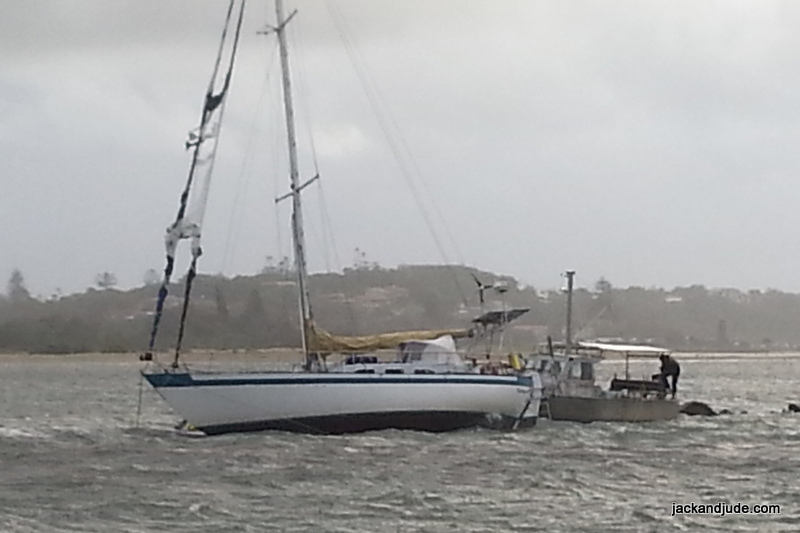 Once it was in tatters, but still making a racket, his headsail was the next to rip loose. It’s horrible to feel so helpless. We could see through the darkness his ship bouncing on rocks while the tattered sails flogged, and with the wind still screeching he next jumped into his dinghy to set out anchors. He got out two, and while they seemed to provide little relief, maybe they prevented greater damage to his vessel. Lucky to have survived that Herculean effort, we admired his tenacity and it was a great relief to see him climb aboard again. 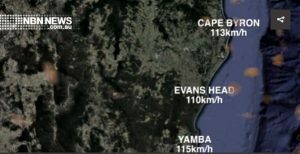 During the terribly long wait for first light, we weathered many sustained blasts above 50 knots while 75 mm of rain pelted down. All the while his ship bounced on rocks accompanied by the horrendous noise of sails shredding to bits. Standing anchor watch in half hourly stints while the other laid below regaining warmth, by first light we were both whacked. Now we must thank our fabulous Manson BOSS anchor for not an inch did we shift. We believe that we should remind sailors of the danger of not rolling furlers up tightly because when strong winds strike we’ve seen several come to grief. The clew flogs till the cloth lets go then it’s a disaster. This guy being side on to the rock training wall had a chance to save his from total destruction if he had let them partly fly and re-rolled them. 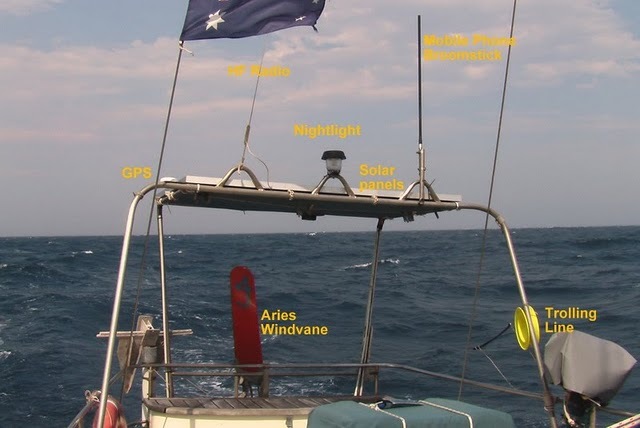 Or as I told him in daylight, he could have secured the drum and added more windings to it and then wind in the loose sail. Here’s an important tip: When furling we hold onto the sheets, keeping them taut to get a tight wind that actually binds the roll of sail. Note the slack roll and how the sheets do not hold in the clew, but instead drift down just around the lower portion. Amazingly his hull had not been holed by the time Marine Rescue pulled him off eight hours after he first hit the rocks. We, you, may not be so fortunate. 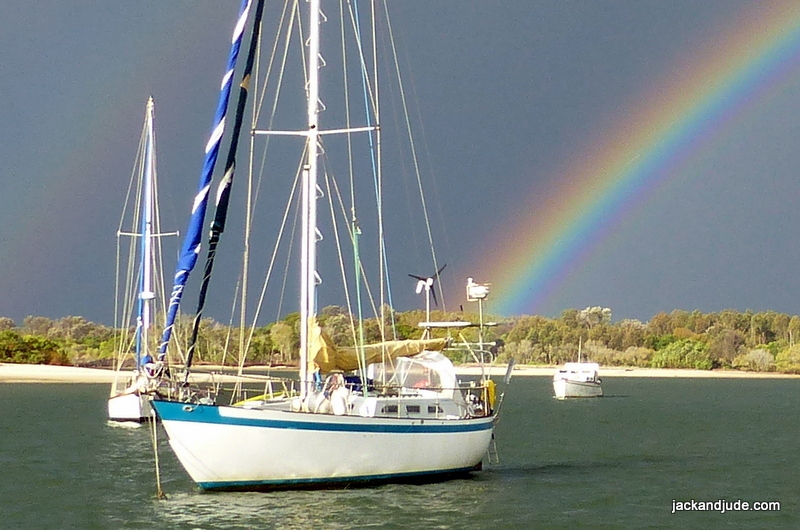 Since beginning our sailing life in the early seventies we have always believed that if we go to sea, we must be prepared to look after ourselves. That’s the way sailors from as far back as biblical times have survived the savage, awesome, and very impressive power of Nature. If you think differently and believe dialing up help is the modern way then keep away from our ship. Another lesson from this event – right after first light a fisherman came by in a small alloy craft and deftly manoeuvred to heave the man a tow line. 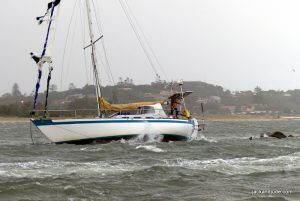 The tide was a couple of hours before full and the yacht was still hard fast, about a foot below waterline showing aft. Why the fisherman instructed the lad to attach the tow line astern we don’t know. 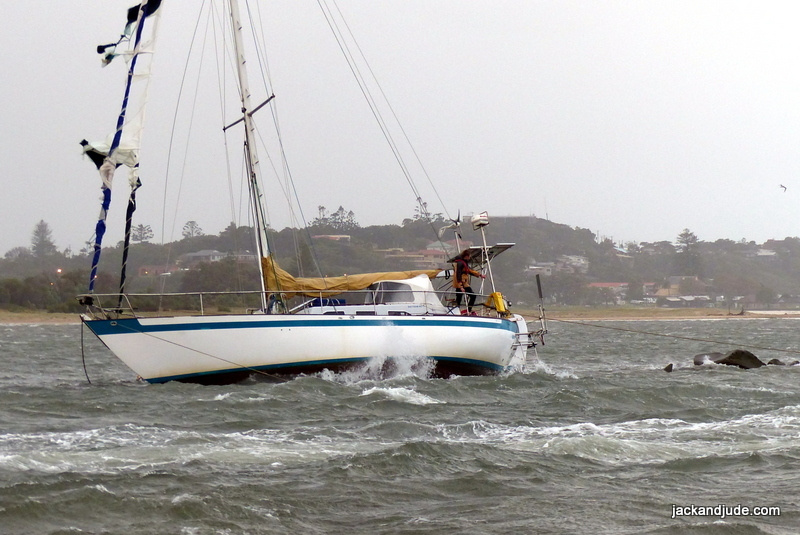 But towing yachts out by the stern in this situation is a good way to damage the rudder and counterproductive, because if towed by the bow, a yacht pirouettes around as the forefoot is usually clear, and then can safely be towed out even if grounded at the stern. During that failed attempt, the fisherman got his prop caught in one of the many lines and also ended up against the rocks. 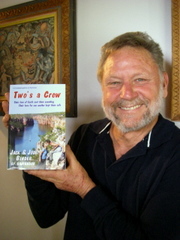 A brave crewman got in to clear the tangle and when underway again, the fisherman gave it away, and who can blame him. The sailor then came by for our thoughts and we suggested that by pulling her by the bow he might have a better chance. That set him to work putting out his main anchor again. But do not do it the way he tried; by dragging the heavy chain along the bottom. Because after a great deal of effort he hardly got any distance and then lost hard won ground when the wind blew him back while he heaved the anchor into the water. If your tender can take the weight, it’s best to load the anchor then the chain, and lay it out as you power away. This is very hard to do when short handed in high winds. 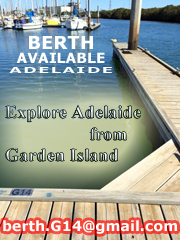 The better way is to use only a boat length of chain and a very long length of floating rope. On Banyandah, we have a kedge anchor already rigged and ready on the taffrail, ready in case of an unexpected grounding. And always remember that a fair bit of scope will be needed because in pulling your craft off, you’ll be taking in at least two boat lengths before gaining your freedom. Till next, wishing you fair winds and safe anchorages.